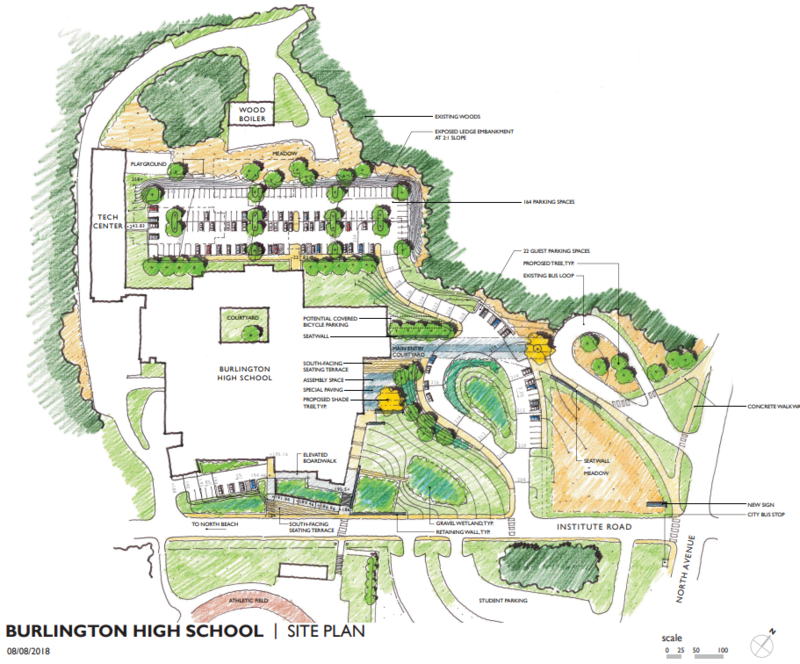 On November 6th, Burlington voters approved a $70 million bond to completely reshape the educational experience delivered at Burlington High School. The bond passed with more than 73% voting in favor of the project! Now that the bond has passed, Burlington School District will begin work on putting together a plan to start the detailed design process, as well as site, traffic, and engineering studies. Community and staff members will continue to be invited to participate in the work that will be done for the next 18 months in order to break ground in Spring of 2020. Stay tuned for updates, or scroll down to learn more about the project. On October 23rd, more than 70 community members attended our BHS ReEnvisioning Town Hall. Staff, board members, and the project architect led a presentation and spent an hour answering questions from the attendees. City Council voted 11-1 to allow Burlington School District to place on bond for BHS on the November ballot! Why Do We Need a Better High School? In 2017, our ReEnvisioning Committee put together a short video focusing on some of these issues. Give it a look! What is the total project cost and budget? The board voted on August 21st to support a $70 million which supports the $68.5 million plan with additional funds for building contingencies and air conditioning. Here is the Complete Budget Cost Breakdown. Through community engagement, the ReEnvisioning Committee received overwhelming support of the partial demolition, renovation, and expansion plan. In April 2018, the School Board accepted the ReEnvisioning Committee’s recommendation to the superintendent of expansion and renovation with partial demolition. If a bond were to pass in November, there would then be another year and half of detailed planning and engineering work. Staff and community members would again be engaged in these conversations as we work to refine plans. Though there are initial plans now, more specific and detailed plans cannot be drawn up without the funding that comes through the passage of the bond. We would hope to break ground in April or May of 2020. Construction would be in phases, but be totally complete in 2022. The timelines are attached. (You’ll need to zoom in to see pdf timeline). What will happen to the children during construction? One of the key benefits to this plan is that we should be able to complete construction with minimal student disruption and no student displacement. This is because the bulk of new construction would take place on the outside of the current building, wrapping the old building in new construction. 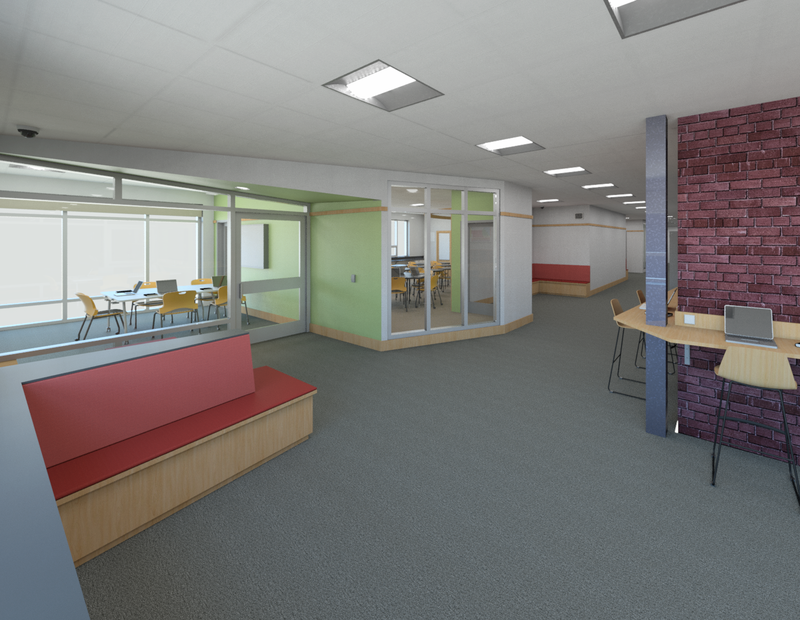 Once the new spaces are built, students can move into those classrooms from the existing C, D and E buildings. After they move into the new space, those buildings can then be demolished. Why/How will this plan improve student learning? The current campus design was modeled after college campuses and is not suitable for current or future secondary school learners. The BHS campus has five segregated structures in which specific educational content is delivered in different wings. For example, all science instruction, labs, and science teacher offices are in the E building, and all world language subject matter and teacher offices are in B building. And, unfortunately, all English language learners are building their language skills in an area separate from all of these classes. Segregated learning reinforces the concept that teachers teach content, rather than the holistic concept that teachers teach students. Most importantly, recent educational standards and regulations have transitioned to a personalized learning approach that develops and evaluates student proficiencies based on their ability, rather than a traditional, rigid schedule. We are preparing students for a new world; the education “factory model” of doing 45 minutes of math, closing your book and then going to another room to do 45 minutes of social studies is obsolete. 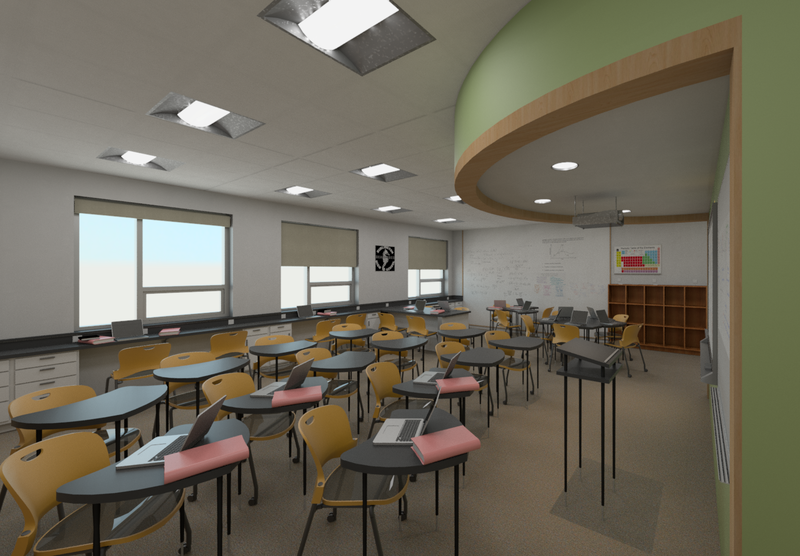 Vermont’s Act 77 requires school districts to transition to Proficiency-Based Learning (PBL) on a timeline that is unrealistic for Burlington given the high school building’s substandard design. PBL requires extensive teacher planning and collaboration time and interaction, which is severely hindered by our current physical environment. 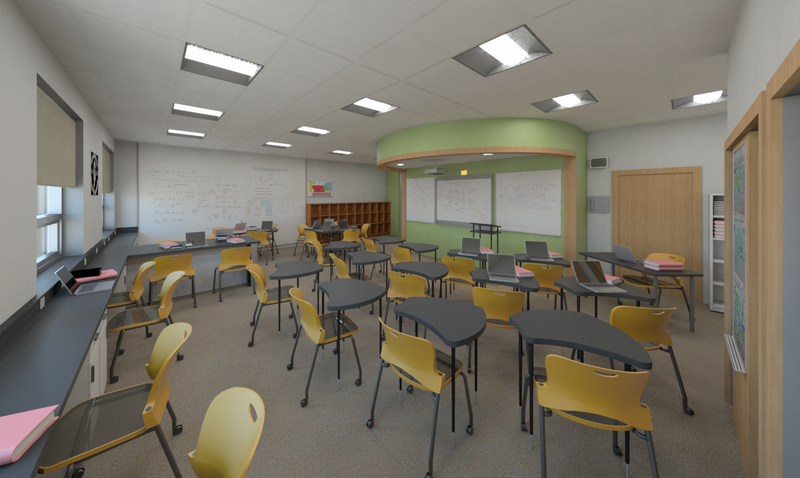 Moreover, PBL requires that students have access to multiple, non-traditional learning approaches that require flexible space and ease of building access as upper-grade students will likely participate in more community-based learning opportunities in the future. To reinforce our belief that “all children can learn and all children matter,” we need a building that eases the transition for middle school students into high school. Leaving their learning environments where they have been comfortable and supported and coming to a campus with triple the number of students is intimidating. 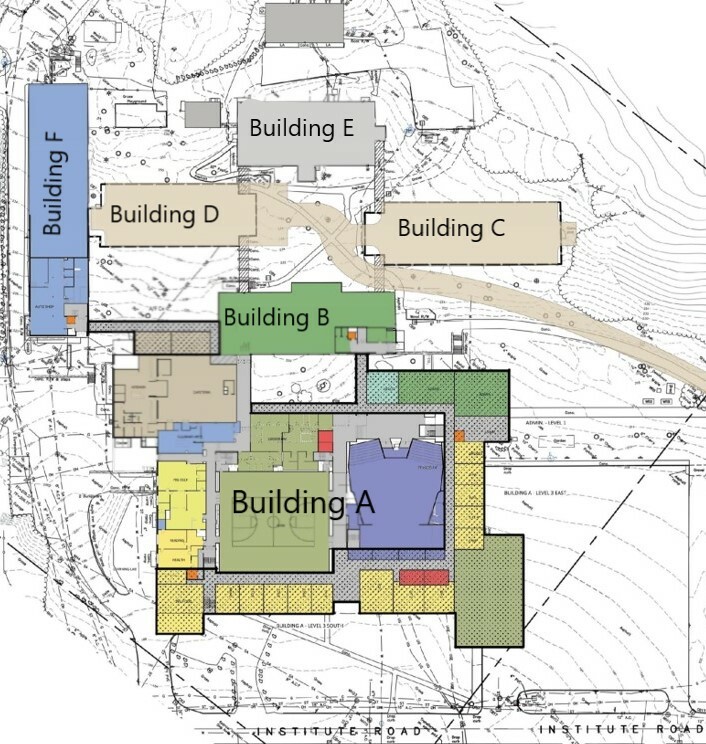 Students can easily feel lost as they travel from wing to wing, to the basement for music instruction, and back up to a class in a wing with the highest elevation (the equivalent of 7 stories of elevation change and much distance). Our freshmen have up to seven different teachers who often do not have the opportunity to even set eyes on each other in the course of a work week. 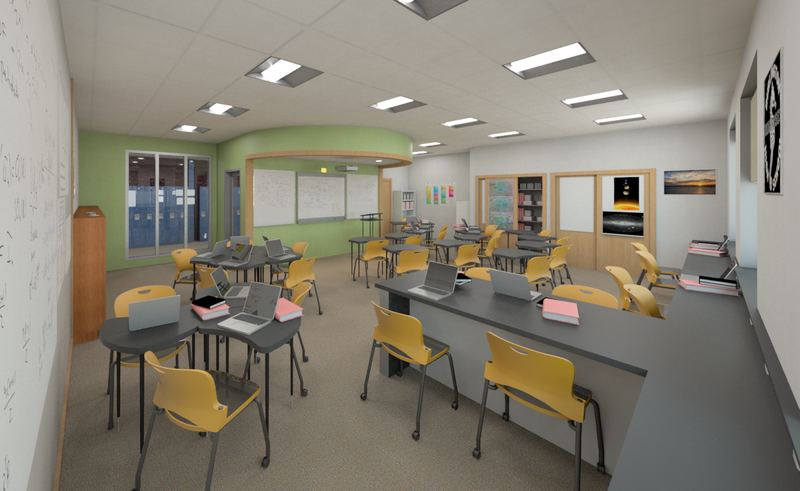 The proposed renovations dedicate instructional space for ninth-grade academies where teachers will deliver content and educational support across all subjects. 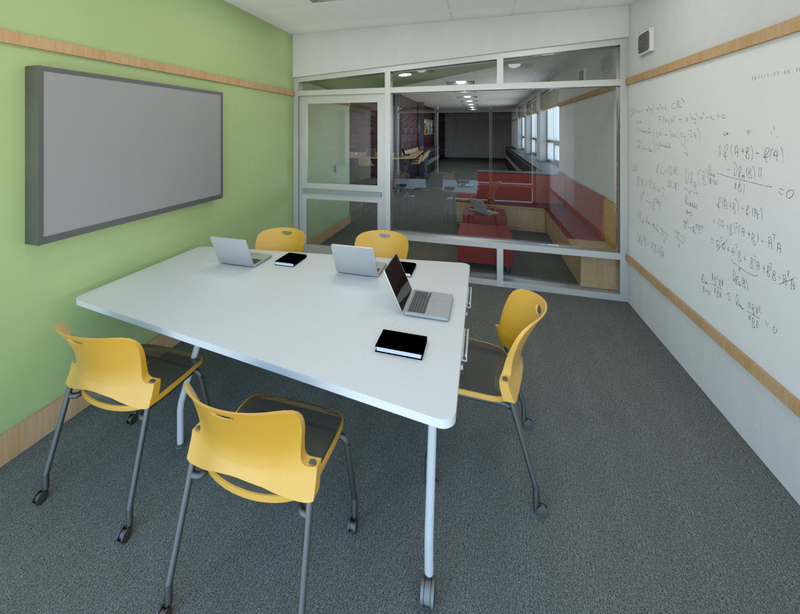 In the new space, world language, mathematics, science, English and social studies teachers can meet as teams to support students on a daily basis. This conforms with VT Department of Educational Standards around PBL, which requires personalized learning plans to be developed collaboratively between students and all of their teachers. Collaboration, communication, and teamwork are required to develop the creative, courageous and caring people that Burlington wants to be recognized for. A 2015 Safety and Security Program Assessment from Margolis Healy shows that BHS’ security puts students and staff at risk (Attachment D). Bringing the building up to date with safety protocols (such as lockdowns and hold and secure) and emergency procedures. 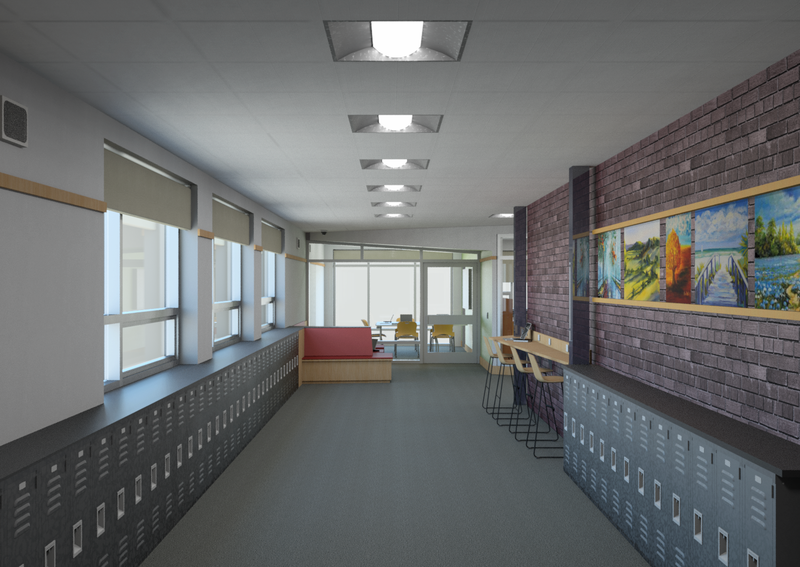 In addition to creating a collaborative and welcoming learning environment and addressing our substantial accessibility concerns, the proposed design of this school is a major improvement in the safety and security of our students. Who will manage the project to make sure it is completed correctly and on budget? A qualified Construction Manager (CM) will be brought in as the project moves into Design Development. CM selection will include a pre-qualification process to assure only qualified firms submit proposals. The CM will work with the architectural and engineering team to refine the project phasing plan. Once construction begins, the budget includes the services of a full-time Clerk of the Works to represent the Owner on site during the entire construction process. In addition, we have hired a Commissioning Agent who will assure that what was built is what the public paid for. Please click here for a current list of Project Partners, as well as the post-bond consultant positions we are expecting to hire. In addition, our Board’s Finance and Facilities Committee, which meets regularly, will monitor project details and our director of finance will provide financial reports at our monthly school board meetings. Why November; would waiting four months really hurt us? In March 2019, the District will have its general education fund request on the ballot. If we did not increase our budget at all next fiscal year, our baseline tax increase for District’s general ed spending would still likely go up because the City’s CLA is projected to go down. That said, it would be reasonable to predict school spending will likely go up by at least 2% due to just to health care increases and teachers’ contract negotiations. The District will obviously do our best to bring that number down as we have done in the past. Still, having a $70M bond request compete with the school district’s general fund budget request might cause voters to feel they have to choose between a high-quality learning environment and educational programming needs. One thing that we know and are trying to prepare for is that on their own, school bonds often fail. We are lucky to have citizens who have been highly supportive of the District’s needs in the past 4 years, but that hasn’t always been the case and we need to prepare for any scenario. In addition, we understand that the City is planning to place other money items on the ballot in March. There is also reason to believe the citywide property re-appraisal process will be underway in 2019, which could result in voters being less inclined in March to support large bond issues since their property values (and tax bills) may be about to increase. With these factors in mind, it is our opinion that a March ballot is not the time to request the District’s/City’s largest capital bond. If this project were delayed to a March ballot and the combined factors above led to a failed vote, we would not be simply looking at four months of lost time, but 16+ months of lost time as there will be no November 2019 ballot. For every year the project gets delayed, construction/development costs inflate by at least 4%. If it gets rejected in March 2019, we have to wait a full year to request the bond again in 2020, which means an inflator of 4% plus 50% again as much, for a 6% inflator of the entire project cost. This will put us over the $70M ceiling and could require that we scale the project back to the lower quality version, or ask for a higher amount for the current plan. Finally, we are looking forward to engaging the community in the detailed portion of this work which can only happen once a bond has passed. If we waited for a March vote but still planned to break ground with the same timeline, an unintended consequence of that action would be that it would actually allow us LESS time for engagement with various stakeholders -and LESS time for comprehensive planning- than we would have if a bond passed in November. In April 2018, the School Board accepted the ReEnvisioning Committee’s recommendation to the superintendent of expansion and renovation with partial demolition. This recommendation took more than a year to present to the board as the ReEnvisioning Committee, formed in 2017, read of all the previous stakeholder input reports and held additional sessions to gather more feedback. In August, Burlington School District employees presented the board with what they viewed as the three best options to complete this work based on cost-effectiveness and the least amount of disruption to students. Option 1: $60 Million. Option includes using least expensive building materials available, minimal work to heating and insulation systems, and limited amount of renovations at BTC. Modeled on CHPS standards but does not include certification. Fit-up budget only for new spaces. Option 2: $65 Million. Option includes using more durable, longer- lasting materials. Renovations to BTC are still limited. Project meets basic CHPS requirements for certification and allows for better heating and insulation. Option 3: $68.5 Million. 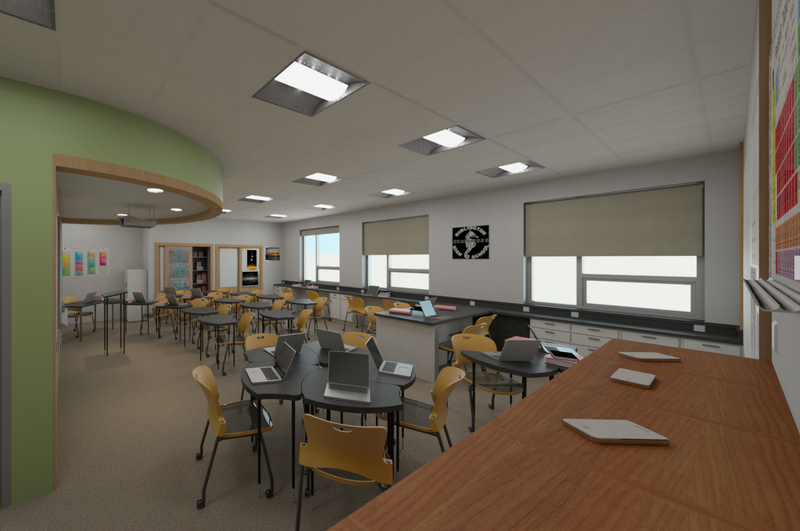 Option includes using highest quality materials with complete renovations to BTC building. Also allows for some salvaging of demolished buildings, significant heating, and cooling upgrades, and results in a higher CHPS certification. The District also shared a survey with the board which showed that of the 401 people who took the survey, more than 70% of respondents would support a bond on the November ballot of $68.5 million or more. On Monday, August 27, BSD presented the proposal to City Council. As part of the presentation, BSD took the opportunity to answer some of the questions posed by Mayor Weinberger in a letter the Superintendent and Chair sent on August 21st. You can see the presentation, Mayor’s letter, and the District’s response below. This presentation shows the tax impact of $70 million bond, as well as the factors that led up to the vote, total projected debt load, our bond survey results, and preliminary plans to continue to engage the public. Sign-up for updates or submit a comment or question to us.